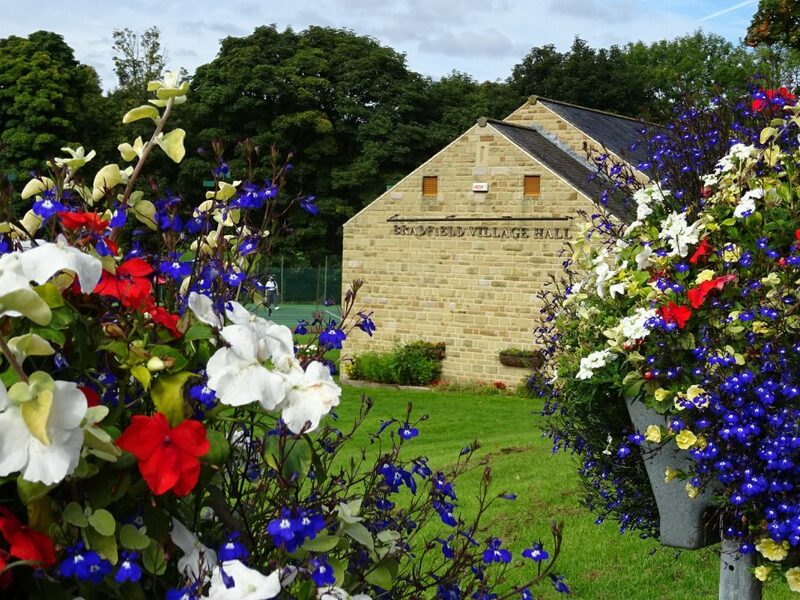 Bradfield Village Hall is hosting a special weekend long VIP event to celebrate Le Tour visiting the village on Sunday 6th July 2014. On Saturday watch stage 1 on the big screen as it winds it’s way from Leeds to Harrogate. The coverage starts at 10.30am. Exclusive access to the bar, kitchen and toilet facilities. Tickets include Brunch served from 11am and an afternoon BBQ served from 2.30pm. Come and go as you please. Tickets: £15 adults, £7 U16’s or part of the VIP package. Saturday evening provides the opportunity to attend our French themed Gala cabaret night. This event is available separately for £39.50 and includes fantastic entertainment from 2 of Sheffield’s best: Paul Pashley www.paulpashley.com and John Reilly www.johnreilly.org. On Sunday, watch the race build-up and start as it leaves York and travels towards Sheffield. Enjoy a beverage and BBQ lunch. Walk up to High Bradfield to watch the caravan (2pm) and race (3.30pm) come through, returning to the village hall to watch the finish in Sheffield (4.30pm). Watch the post-race summary, get a glimpse of yourself on the telly and enjoy a hog roast. Tickets £30 adults, £15 U16’s or part of the VIP package. There are several ticket options. The VIP Platinum tickets include all events for the whole weekend. The VIP Gold ticket includes all events except the Gala dinner. Tickets are also available for each event (subject to availability). Free entrance for children 5 and under. Weekend camping options are also available, see booking website for details. Tickets are subject to availability on a first come first served basis. If you receive the voicemail, please leave a message and we will return your call.